Please enter the name or word, up to six characters. Heart shapes count as characters. 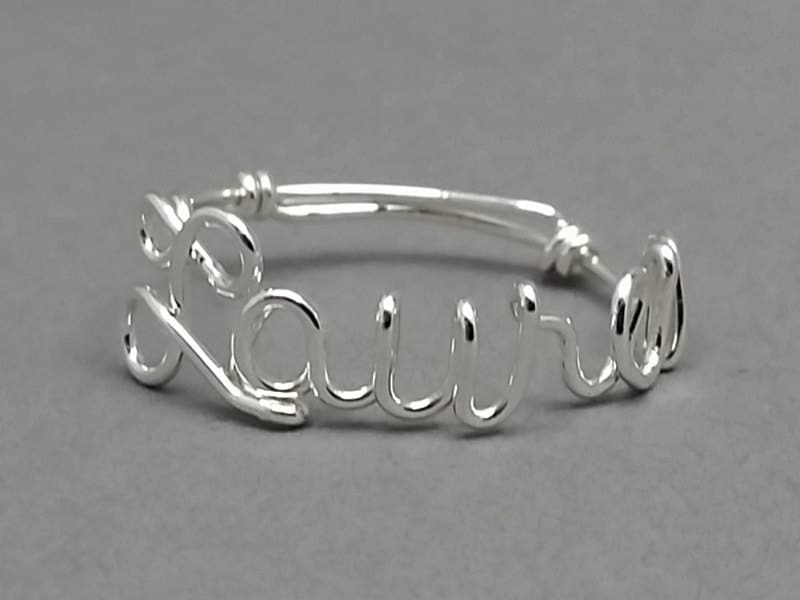 This is for a sterling silver name ring personalized with any name or word up to 6 letters long. Easy to wear and unique to give. I need to know the proper spelling of the name or word including capital lettering in it's proper place. Please understand that I generally do not make a name with all capital lettering. They don't work out as well that way. It "can" be done, but if you want this please send me a message prior to purchase to discuss it. If you show me the name in all caps, I will capitalize the first letter only and make it with the rest lowercase by default unless you message me. The ring turned out beautiful! Dharlee was very prompt in answering any questions and I was very impressed with her quick order turn around. My daughter loved this gift. Its beautiful! Ordered for my mom friend for Christmas and she is going to love it! !